Is the world hierarchically arranged, incorporating 'levels' of reality? What is the nature of objects and properties? What does 'realism' about ordinary objects or states of mind demand? When an assertion is true, what makes it true? Are natural properties best regarded as qualities or powers or some combination of these? What are colours? What explains the 'projective' character of intentionality? 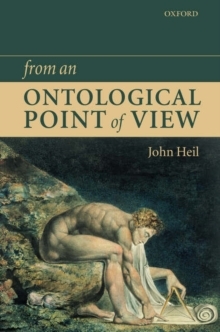 What is the nature of consciousness, and what relation do consciousexperiences bear to material states and processes?From an Ontological Point of View endeavours to provide answers to such questions through an examination of ground-floor issues in ontology.